Lightbulbs are boring. Yes, they provide an important service to the world, but when was the last time that you got really excited to go out and buy some new lightbulbs? Probably never. But Philips’ new Hue LED lightbulbs are actually incredibly cool and will change your blasé opinion on lighting fixtures. The new Hue bulbs revealed today by Philips are wirelessly controlled by your iOS device. You can turn them on or off from your iPhone as well as change their color even if you’re not at your house. The Hue app will select the perfect lighting for your mood or activity or let you adjust the lightning in a room based on one of your favorite photos. Philips’ LED bulb system will go on sale tomorrow exclusively at Apple Stores. 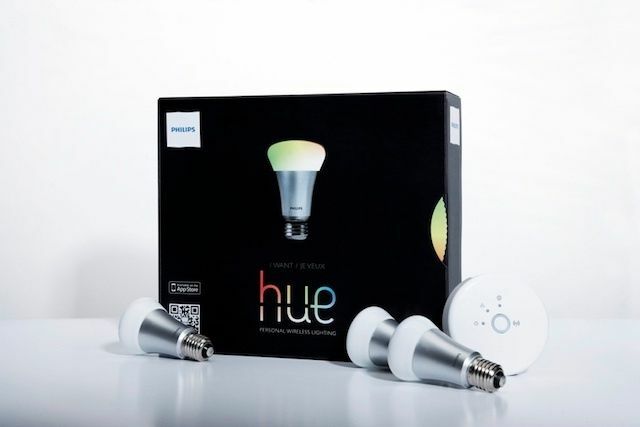 A Hue startup kit costs $199 and includes three bulbs and a Wi-Fi bridge that acts as the router for all the bulbs. You can buy additional bulbs for $59 each. Philips claims they’re working on future features, such as the ability to integrate Hue bulbs with sound and video, and even geo-location services so that the lights turn on automatically when you are close to home. Philips has also opened the Hue app to the developer community and created an open source platform to help unleash possibilities that haven’t been thought up yet.